One of the things that truly puts me in the Christmas spirit is music. And now that December is here, Christmas music can be heard everywhere! 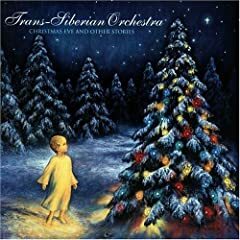 We're going to see Trans-Siberian Orchestra tomorrow night - they have some wonderful Christmas music, and put on a fanstastic show. I also love some of the old classics like Bing Crosby's White Christmas, Burl Ives' Holly Jolly Christmas and Nat King Cole's The Christmas Song. Last month, ASCAP, the American Society of Composers, Authors and Publishers, tallied up the most popular holiday songs of the past decade. Written by: Felix Bernard, Richard B. Do you agree with their list? What are your favorites?